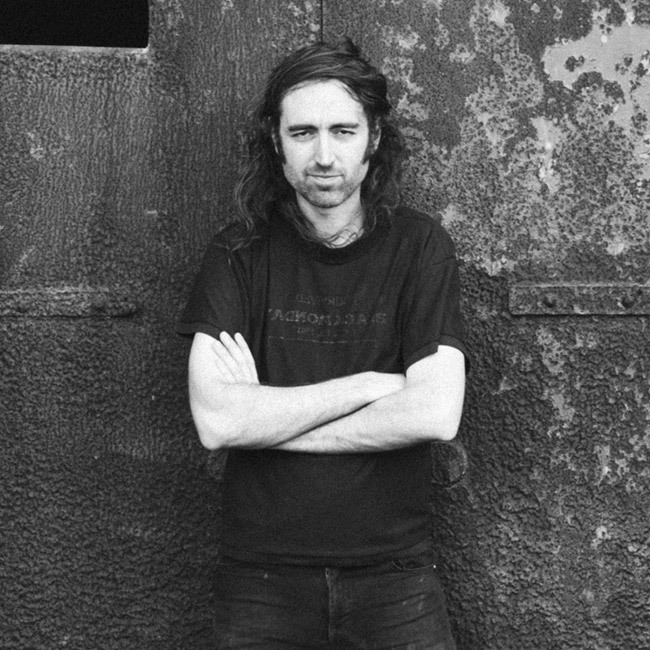 Whether slinging around his Jaguar as part of noisegaze torchbearers A Place to Bury Strangers, operating a focale DIY venue in New York, or designing an always-inspired range of pedals as Death By Audio, Oliver "Ollie" Ackermann is a dude with fingers on a lot of fret- and circuit boards. Whenever a new DBA pedal hits the street, you can be sure that it bears the imprint of all these unique experiences. 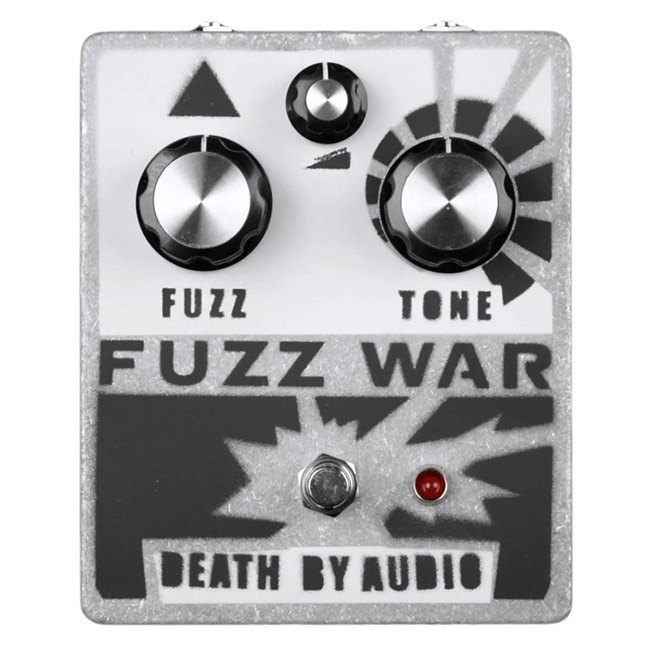 Such is the case with Death By Audio's latest release—the Total Sonic Annihilation 2—a fresh take on the fabled original. That first stompbox found acclaim by being one of the wildest tone machines around. It takes the input from the other pedals on your board, creatively mangles the signal with an oscillator and fuzz sections, and then feeds it back into your other pedals, creating a maelstrom of sound. 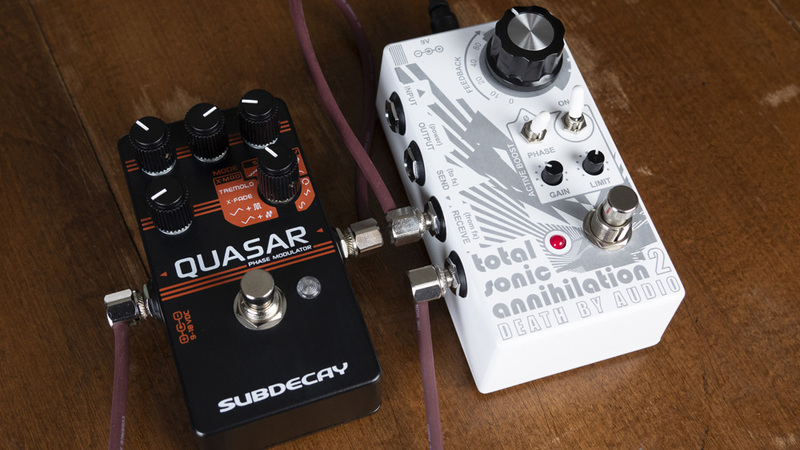 The Tonic Sonic Annihilation 2 adds some innovative tweaks that allow players even greater control and flexibility over how the pedal creates and guides this sonic squall. As Andy explains in his demo above, you can use the pedal to add even more gain to dirt boxes, add resonance to modulation effects, or add self-oscillation to any delay. Once your preferred chain is in place, you can dial back or turn up the amount of signal that continues to be fed back through the whole system—making your tones as extreme as you wish. We recently caught up with our old pal Ollie to chat about his work and the new release. Read on for his insights and watch the video above for a taste of what Andy was able to do with this sonic gut punch of an effect. 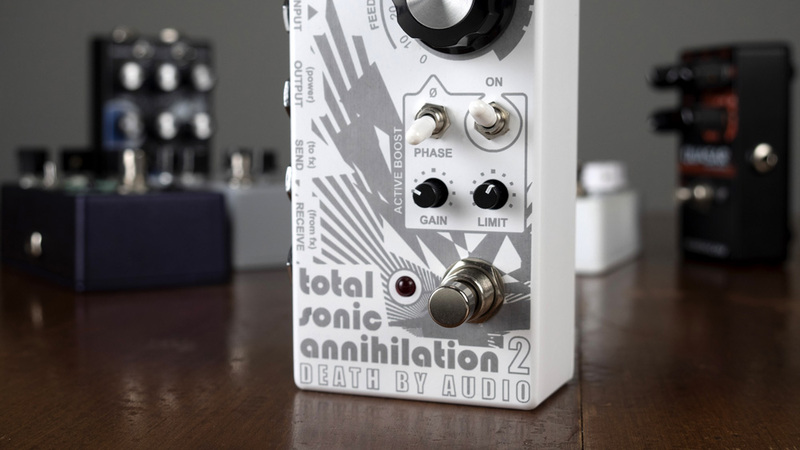 Click here to get your own Total Sonic Annihilation 2 on Reverb. For those who don't know what Death By Audio is, give us the quick rundown about how you got started and why. I was always trying to write music and record music and trying to be in a band that was self-sustaining and successful—so kind of the basis of all of these. I really just wanted to know every single avenue of how all of that stuff worked. One of those avenues was how to create the instruments and the tools that you use to make the music. We were always building studios and tinkering with recording equipment and I started tinkering with the effects pedals, and I just fell in love with doing that. I would circuit bend lots of pedals and then started to try to build my own effects pedals. I read lots of books and figured these things out and then was like, Hey, some of this stuff is really cool and maybe other people would like this too. I wanted to go on this trip with a girlfriend and backpack across Europe for a month and I didn't have a job at the time, so I decided to start this effects pedal company, and I thought Death By Audio sounded like a cool name. 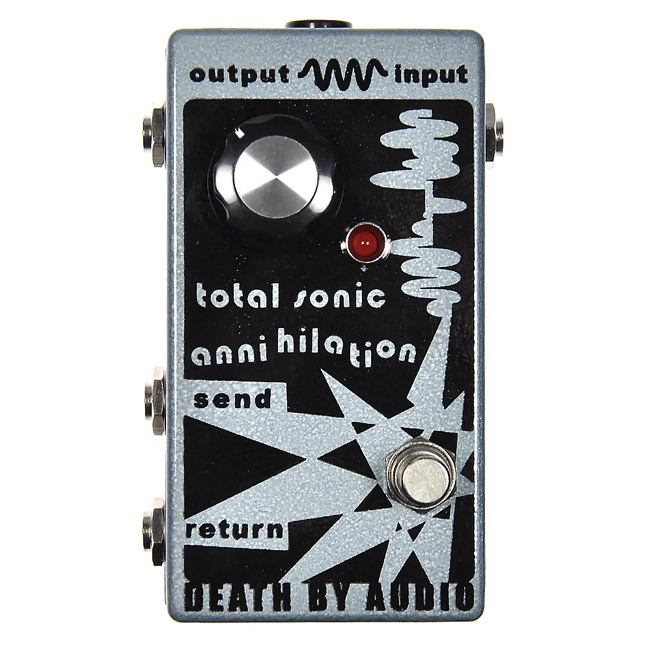 I came out with this pedal called Total Sonic Annihilation. That was pretty much the start of all of that. Being familiar with A Place To Bury Strangers and your chaotic live show, it feels like Total Sonic Annihilation was developed just for you. Is that a correct assumption. Why release this beast onto the public? I guess once you find something that is really cool, I think you should always challenge yourself and share your ideas of what you think is really awesome so that someone else can take them and steal them and make them better or utilize them in a better way than you do—so that you have to step up your game for the next time. It's a healthy way the world should work. I have never been afraid of people taking these ideas and I'm not shy in sharing any of these kinds of things. I think if you create something that's really cool you should share it, share the mystery. Usually people start out pretty simple. They start out with a fuzz or a distortion or a clone of some kind. 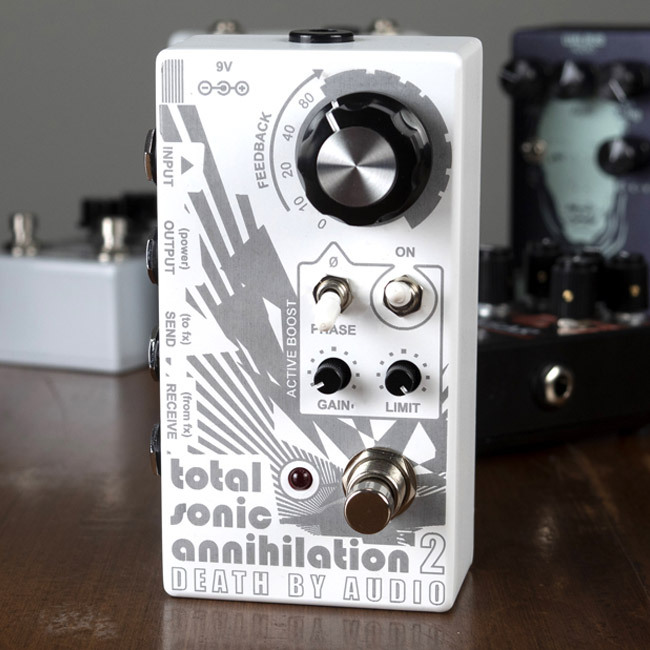 Was the Total Sonic Annihilation the first thing you had built or had you already had the Fuzz War in the back pocket before that and just released the Total Sonic Annihilation first? The Fuzz War took me a couple of years to develop. That came out right when I thought that it was done. I had worked and built some other effects pedals at that time when Total Sonic Annihilation came out. That just seemed to be something worthy of starting a company. It was something that I thought was interesting and nobody was doing anything like that at the time. It seemed monumental that all of the sudden people could take those effects and tools that they already used and they could have their own little piece of something that would circuit bend the things into other crazy sounds. I had seen a lot of experimental music and was getting into experimental recording at the time, so I thought that this could push music in the direction that I thought would be better. What was the inspiration for bringing back the Total Sonic Annihilation for this revamp? What inspired you to improve and make it a release that was available again? I always thought that there were a couple of things that could have been taking the effects to the next level, and so we had discontinued it awhile ago and [we knew] that we were going to release it again with these improvements. The added boost in the phase switch makes it work with every single pedal in the world where before, if you had an effects pedal that was out of phase, the input and the output, it would just act as a volume controller for that pedal. This takes even pedals that weren't designed the best and makes them work as well. I really appreciate how over-the-top your pedals can be. They are not safe effects. Do you develop these sounds for yourself first or do you develop new products with other people in mind first? It usually starts either with myself or my interests in the technologies of the electronics. We are always buying things and building them and experimenting with anything we can get our hands on. Someone made some interesting VCA chips or something that they are using some old synthesizers and we will get those and build some things for fun. Sometimes that sparks a cool idea or there's a particularly interesting sound, or I'm constantly building effects of sounds that I want to create for playing or recording music. Sometimes with those sounds you discover something that happens to be really cool and that maybe other people would want too. If we think they would, then we will develop it. The pedal industry works so well because it's like the punk world or the DIY community, as, while there's friendly competition, people are inspiring each other to continue to push to the next level. Having the ability to design anything you would want, do you use anybody else's effects, or are you inspired by any of your contemporaries to continue to push yourself further? Definitely. I've done a lot of trading with people of effects pedals or even purchased a lot of other effects pedals. I use them all of the time. We have so many effects over here, boxes and boxes of pedals. When sitting down and recording or testing out our own pedals, we will often hook them up with lots of the different stuff that is around the office. That's incredible. You hear so many cool sounds and we're doing so many different and interesting avenues, I think what you were saying about this being even like bands is very appropriate, because when you dive into effect design, you start to realize that you can really do so much with any sort of effect. Some of these things are just subtleties, which are not necessarily about the sound. But how you control the sound, how you interact with the sound with the person is so much of even what an effect is. With all of those options you create these different sorts of limitations and these other different options of what things can do. That makes it something personalized, like an album or a piece of music. Even if two people are trying to create a flanger, you can do so much with that. And that shapes the way you create music with that object. I'll go through all the different effects pedals that I have just to keep on swapping out another distortion pedal or overdrive pedal or even doing things like taking a wah pedal and turning it around so it's backwards. It makes you as a human interact with something differently, which causes you to be inspired to create different music. Do you approach Death By Audio as an artist or an engineer first? I think that both of those things go really well hand-in-hand. I think that a lot of times that is some people's shortcomings if they don't embrace the two things coming together. I feel that there are some people that have a good idea of an aesthetic but don't really know the technology to be able to utilize, to make what they want as an artist to come about and come through. There are other people who are so technically inclined that they lose track of what it is going to take to interact with that object. I think that you really have to have a good grip of both of those things to be able to create really good effects pedals. I often see things where it is maybe something that is designed that would only be good on your tabletop, because if you are playing shows, as soon as you drop your guitar on this thing a switch is broken off and then it's going to be useless or you need the manual to read through this thing. If you are someone who likes to experiment with a lot of effects you are going to have to constantly carry the manual around with the pedal at the time. I think those are a lot of shortcomings people have with some of those designs and stuff. I'm sure that's what they think about some of the Death By Audio stuff too, but I think that both things are exciting and important. I like to have all of those, stick my hand into a lot of different pots, because that keeps life interesting—where you change your role as time goes on and you don't get stuck in one stagnant position.